With the United States Census Data predicting 20% of the U.S. population to be over the age of 65 by 2020 – more than 60 million people – more and more companies are entering the medical alert system market. By and large, this is great news for folks looking to purchase a system! With the medical alert system market becoming more competitive each year – we at InHomeSafetyGuide are seeing more rapid advances in the technology powering these devices coupled with lower prices. The only downside to all of this – the rapidly expanding medical alert system market can make selecting the right system a challenge. That’s where we come in – InHomeSafetyGuide has provided unbiased buying advice and medical alert reviews for these life-saving devices since 2012. Each year we thoroughly Shop, Test, Review, & Rank, more than twenty of the market-leading providers. The results of these efforts are published annually with our list of Best Medical Alert Systems. Our 2019 Buyer’s Guide includes simple & straightforward information to help you in selecting the right system for you or a loved one. You’ll find buying tips, questions to ask providers before committing to a system – as well as red flags to be on the lookout for, as all providers are not equal when it comes to both the systems & service in the Medical Alert System industry. InHomeSafetyGuide is proud to be rated GREAT by Trustpilot and have A+ accreditation from the BBB. 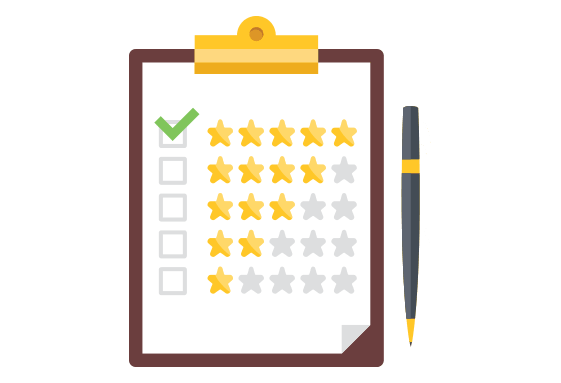 At InHomeSafetyGuide, we use Four Key Criteria Categories to create our final Rankings – Shopping Experience, Equipment & Setup, Cost & Value, and Monitoring & Reputation. Using the criteria recommended above, and ensuring companies meet the InHomeSafetyGuide CERTIFIED standards, you only have one item to consider before diving in – will you want an In-Home system or Mobile. If you are or are shopping for, someone who is at home the majority of the time, an In-Home system is perfect. If you’re an active senior, or just want the freedom to have your system travel with you, then mobile is the way to go. The Medical Alert System industry is unique when it comes to shopping and the timing around purchases. Often, a challenging situation with an aging loved one may drive people to seek a purchase. The Medical Alert companies know this – and the good ones have highly-trained Customer Care experts committed to understanding your individual wants and needs and will work to match you with the right system. Our Secret Shoppers look for these medical life alert systems providers to offer this kind of experience when shopping, and you should too. Below is our checklist of the questions we ask Customer Care reps when shopping for a system. Companies that score Very Good to Excellent in all 4 categories are awarded InHomeSafetyGuide Certification. If you’re ready to hop in – you can’t go wrong with any of the providers below – the BEST of 2019 as rated by the InHomeSafetyGuide Shopping, Testing, & Editorial Teams. Each of these companies has best-in-class 24/7/365 Monitoring Centers, UL-Certified Equipment, highly-trained Customer Care professionals, and our BBB accredited. In addition, all four scored VERY GOOD to EXCELLENT in their Overall Rating. Outstanding Mobile Solution - "Active Guardian"
NEW! Get a FREE $50 AMEX gift card when ordering by Phone. Call 1-855-729-3025 & Give Agent Promo Code "FLASH50"
When shopping for a Medical Alert System, the system is really only half of the equation, it’s the service as well. Bottom line, if there is an emergency, you want to be certain there will be help available on the other end of the line 24/7/365. We recommend ensuring the provider’s call center is U.S.-based. It’s one thing to have questions about your cable service answered from across the globe, but when it comes to these life-saving devices, you want to ensure the call center is U.S. based, staffed properly, and let them explain to you the certifications achieved (or not achieved) as well as staffing and training. You may go into a shopping situation knowing an In-Home system is what you want; however, think of this as a big decision and look for a Customer Care agent who asks the right questions that are tailored to you or a loved one and not to what they have to sell you. You may find a mobile system with fall detection is a better fit! You may not, but the good companies will ask the right questions and you should feel confident in your purchase decision. – Do you own and operate your emergency monitoring center, or outsource to someone else? While this is not always a bad thing, we recommend going with providers that have their own call centers or have a long-term relationship with a reputable partner that provides monitoring services in the United States. We have had Medical Alert System providers contact us, not happy with a poor score they received from one of our Secret Shoppers. We understand, sometimes one bad apple can tarnish a review; however, our answer is always consistent – “The industry you are in is too critical to have agents who are poorly trained, impatient, or often rude.” You should take that sentiment with you when shopping – look for the very best, because if when it comes to a company that offers products designed to save lives – excellent is required. MobileHelp, our top pick, has a staff that is not only highly knowledgeable but happy, friendly, caring. 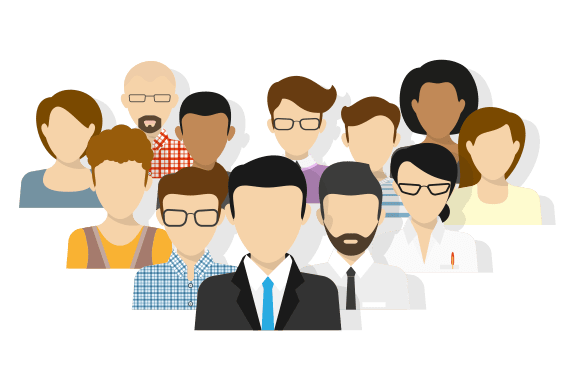 Their leadership team is a group of smart people committed to helping aging adults live the absolute best lives possible and that shows with everyone you will come into contact with at MobileHelp. Another one of our Top Picks is LifeStation. LifeStation has been in business for 40 years, family-owned and operated. But do not mistake family-owned and operated as mom and pop. In fact, they have the most highly-trained call center agents in the world. They also do not believe in machines answering calls. Whether you are calling to get service, have questions about your bill, or just need a hand getting started, you will be greeted by a live voice. That’s dedication and that’s what you should look for and expect. If you find yourself being pushed hard, do yourself a favor and move on. There is no room for that in this industry. FREE DOWNLOAD! All New for 2019 – Includes EXCLUSIVE Content! PLUS – Discount Codes EXCLUSIVE to InHomeSafetyGuide visitors! Download Your Free Guide Now! In-home medical alert systems have been around for decades. The technology has changed little, and that’s a good thing. When a user summons for help, the equipment MUST be reliable and dependable. In-home medical alert systems typically come in two flavors: landline and cellular. The use of a traditional POTS landline is still the most reliable form of communication during an emergency. It isn’t prone to coverage problems and works if there’s a blackout. The best medical alert systems are still ones that connect to a hard-wired landline, and it’s the one we’d get for our parents. However, if landline service isn’t available, there are wireless options available. An in-home cellular system works almost exactly like your cell phone and has its own SIM card inside the device. This allows the system to connect to local cell service and communicate just like a cell phone. Cellular service usually increases the price of the service by roughly $10 per month. If you choose this route, make sure to check the cellular provider’s wireless coverage map to see if there’s enough cellular signal in your area. The best equipment won’t matter if your signal strength is weak. Note, you are not required to have a separate contract/service with a cellular provider (e.g., AT&T, Verizon) in order to get an in-home cellular medical alert system. See our top-ranked 2019 medical alert systems providers here. A Standard In-Home System consists of the Base Station as well as a pendant or wristband – press the Help button and a connection is immediately made to your Medical Alert Service provider. Mobile GPS systems greatly differ from in-home systems. For starters, the technology inside any Mobile GPS device must be placed into a form factor that most resembles that of pagers back in the 1990’s – also keep in mind that reputable medical alert system providers have the most secure hardware and software inside of them. InHomeSafetyGuide will not consider any unit for review unless they are UL-Certified. The providers at the top of the class (MobileHelp, LifeStation, MedicalAlert, GreatCall) not only provide powerful and secure mobile units – they built them with style. 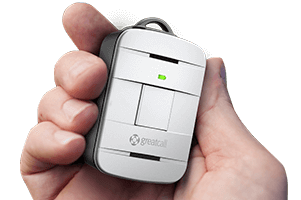 For example, take a look at GreatCall’s offering for 2019 – their Lively Alert device is as beautiful as it is functional. A lot of Mobile GPS medical alert systems now have automatic fall detection built right into the system. However, not all do, so make sure you take a close look at the mobile system you’re interested in if this is an important feature for you. Use your trial period to test the device. Keep in mind that you may sacrifice battery life depending on the number of bells and whistles your mobile system has. Most of these devices are water-resistant and not truly waterproof. Anytime a device has a 2-way microphone built into the system, it’s rarely ever waterproof, even if a company claims that its equipment is 100 percent waterproof. Check out our GPS Medical Alert Buyer’s Guide. Automatic fall detection systems have sensors inside the button that are triggered by unusual and erratic movement. While this technology has been around for many years, early systems were plagued by false alarms. Fortunately, that has changed, with modern systems ability to detect falls with incredible precision. We personally know of several users who have had their lives saved because the automatic fall pendant summoned help while they were unconscious. We recommend selecting a system that at least includes Fall Detection as an option. The Centers for Disease Control & Prevention note that 1 in 3 seniors over the age of 65 will experience a fall each year. Fall Detection not only helps in an emergency but in providing peace of mind to seniors and their families that should an accident occur, it will be identified and responded to immediately. All of our best medical alert providers offer automatic fall detection. For a traditional in-home medical alert / life alert type system, subscriptions can range anywhere from $25 – $35 per month. Additionally, most companies offer prepay options that can save you money in the long-run. For example, some companies offer a number of different payment options. You can pay month-to-month, 3 months at a time, or 6 months at a time. The longer the term you choose, the more savings you’ll see. A provider’s monitoring service and public reputation are decisive when considering whether to give them your business. There are 3 all-important considerations, which we cover below. The heart of any medical alert service is the ability to quickly connect to a live dispatcher when the button is pressed. Our research team thoroughly tested all of the providers listed below to see what the average connection and response time was for each provider. We’re happy to report that all of our top rated providers were able to signal help in less than a minute. Once connected to a live dispatcher, the experience was similar for all of our top recommended companies. Each dispatcher immediately asked if there was a medical emergency and if we wanted help to be dispatched. How many times have you bought a product or service, needed help during the setup/installation process, and called customer support ~ only to be stuck on hold, hung up on ~ or even worse ~ found yourself stuck talking to a rude or impatient customer “care” representative? Customer service is critically important in the medical alert industry, and although it seems obvious, this is where many companies fall flat on their face. This is especially true in an industry where it’s usually the elderly and disabled calling in for customer service and/or technical help. Alertness, competence, and patience are all important when having to deal with a customer that’s hard of hearing, not the most tech-savvy, or frustrated with a billing question. Particularly for medical alert companies, it’s important to find different types of testimonials. Customers will talk about different aspects of a company, so look for a variety of comments about service, such as. At the end of the day, companies are made up of humans, and it’s completely natural from time to time to make mistakes. It’s how a company responds to these mistakes that truly matter. Q1: How do medical alert systems work? Medical alert systems are fairly easy to use. Most systems include a base unit, an emergency button, and 24/7 access to an emergency response monitoring center. All base units on in-home systems are plugged directly into the wall. Some traditional in-home units also require a landline. All quality in-home medical alert systems also contain a backup battery, in case there’s a power outage. Traditional units come with an emergency button, which is a wireless transmitter that is connected directly to the main console. Some GPS units utilize an emergency button and a portable base unit, while other GPS units are all-in-one, which means the button and GPS device are integrated into the same pendant. If fall detection is added to your plan, it can detect when you experience a fall, whether or not you can push the button. The technology is advanced enough to know the difference between many different kinds of movements. For example, the pendant knows if you’re laying or sitting down, or if the abrupt movement is the result of a fall. With an automatic fall detection pendant, you don’t have to worry about speaking with an emergency representative every time you sit down to watch your favorite TV show. One of the newest features is movement monitoring. Not only does the pendant register if there’s been a fall, but it will continue to monitor your movements for up to 30 seconds afterward. If no additional movement is detected, it is assumed that you’re in need of assistance and the call is placed. If additional movements are detected, it’s assumed that all is well and no call is needed. This prevents false alarms if you drop or accidentally bang your pendant on the edge of the counter. All medical alert systems offer emergency response and monitoring services. If you’re experiencing a medical emergency, have fallen and can’t get up, or even if you’re experiencing other emergencies, like a fire or home intrusion, all you have to do is push the emergency button. A wireless signal is transported to the base unit, where an emergency response agent will speak to you in order to determine what kind of help you need. Depending on your situation, the agent may call emergency medical services, friends, family, caregivers, or neighbors. Q2: What is the difference between the different types of medical alert systems? The medical alert system industry started with in-home medical alert systems, and they are arguably the most dependable choice today. They utilize a base unit in the home that communicates with a portable pendant that can be worn around your neck or your wrist. Traditionally, they use a landline telephone, but you can also purchase in-home units that utilize a cellular signal. Active seniors may require more protection outside the home. A GPS unit is completely portable because it uses a rechargeable battery and a cellular connection. Some utilize a portable base unit that connects with a wearable button. This type of system requires you to carry both items with you whenever you leave the house. If dealing with two devices sounds like too much of a hassle, there are all-in-one GPS units that function as both a portable base unit and a wearable button. Fall detection can be added to nearly any plan, whether it’s an in-home or GPS unit, for an additional monthly fee. There are no separate devices needed, as fall detection is integrated into the existing equipment. Q3: How much do medical alert systems cost? A: One of the most important considerations when shopping for a medical alert system is cost. In general, you can expect the average medical alert system to cost somewhere between $27 and $40 a month. However, some systems offer basic services for as low as $19.99 per month, but adding additional products and services to your plan could mean you pay $50 or more each month. With such a wide range of price points and service offerings, there is a medical alert system to fit your budget. Adding fall detection to your plan does require an additional monthly payment, but it is usually very affordable. In most cases, the addition of fall detection will only set you back around $5 to $10 per month. Although that can definitely add up over the course of the year, it’s nothing compared to the steep fees you’d pay in hospital stays or nursing home visits. Determining the value of service is important too. Most monthly fees include the use of equipment, in addition to live monitoring services. Make sure you take a close look at your contract to determine whether you are able to make unlimited calls, or if extra calls can only be made with an additional fee. If you’re looking to save, consider an annual or semi-annual plan. They tend to cost less than paying quarterly or monthly. Many providers also offer freebies like no installation fees, free shipping, and more, so it’s worth taking a look at a variety of providers to find a medical alert system that you can afford. Q4: Will Medicare or Medicaid pay for a medical alert system? A: Unfortunately, Medicare and Medicaid aren’t likely to pay for a medical alert system. However, you can try obtaining a doctor’s recommendation in order to increase your chances of having the cost of your medical alert system covered. If you don’t have any luck with Medicare or Medicaid, you can try contacting your insurance company. You can also contact social service agencies in your area. Subsidies are available for medical alert system users with low incomes. Learn more about your options by reading our blog article on this topic. Q5: Can I purchase a medical alert system plan without a landline? A: Many medical alert systems function through a landline, but there are many more options today that do not require a traditional phone line. Some medical alert system providers offer the same in-home unit as a cellular device. This system still requires a base unit and an emergency button, but it does not need a landline. Because medical alert systems can now use cellular services, GPS units have become more popular. Not only do they offer protection inside the home, you can also use your emergency button when you’re shopping, eating out, or on vacation. There’s no need to worry about signing a contract with a cellular provider when you sign up for a medical alert system plan. They do not require a separate cellular service. Q6: Do you have to purchase devices, or do you lease them? A: The answer to this question depends on what provider you choose. Many medical alert systems allow you to lease the system and devices without any equipment fees. But, if you decide you no longer want to pay for a service plan, you’ll have to return the equipment. There are some medical alert systems that require you to purchase the equipment instead of leasing it. This is often the case when it comes to GPS medical alert systems and wearable buttons. One option is not necessarily better than the other. It all comes down to what you’re most comfortable with. It is important that you look closely at each plan to determine whether the devices are leased or purchased. Q7: What are the advantages of a GPS Medical Life Alert System? A: GPS Life Alert Systems, or mobile help buttons, are great for seniors who are frequently away from home and want protection while they are out and about. GPS systems can literally provide you with protection at home, in the yard, and at your favorite restaurant. They are also a great option for those who travel a lot. Whether staying in a hotel or with a friend or family member, you can take your GPS system with you wherever you go. Just make sure you remember to take the charging cradle with you if you plan on staying somewhere overnight! Q8: Are medical alert pendants waterproof? Nearly every medical alert pendant, whether it’s an in-home pendant, GPS pendant, or fall detection pendant, is water resistant. That means you can take it with you in the shower, but you shouldn’t fully submerge it in water. Q9: Why is a medical alert system better than a cell phone or smartphone? A: The main advantages to having a medical alert system over a cell phone are ease of use and being connected to a dedicated 24/7 emergency response center. In an emergency, the last thing you want to do is to unlock a phone, open an app, and have to dial numbers to get help. With a GPS medical alert device, all you need to do is push a button and help is on the way. Additionally, having a 24/7 call center with your personal contacts and location profiles is extremely helpful during an emergency because 911 responders won’t have this information on hand. You also have to keep in mind how often you carry your cellular device, and where it’s located when you’re actually carrying it. Assuming you don’t leave it in the kitchen or the bedroom when you experience an accident in the yard or bathroom, you still have to contend with the fact that it’s tucked away in your pocket or a purse where it can be difficult to get to if you’re experiencing an emergency. A medical alert system is really the best way to go if you want to get care quickly and easily in an emergency situation. Q10: Does medical alert equipment automatically include fall detection? A: In general, most medical alert systems do not automatically include fall detection. Instead, they provide an option to add fall detection to your plan. This usually costs around $10 a month. Most fall detection pendants look a lot like a regular emergency button, but with some design differences. Fall detection is automatically included with GPS devices, but it may not be activated until you add fall detection to your plan. Q11: What happens if I fall and I’m unable to push the button? A: This is an example of when having fall detection is definitely worth the couple extra dollars it costs each month. Without it, you won’t obtain the help you need unless you can manage to push the button. In contrast, if you fall and are knocked unconscious, or if you’re unable to push the button for any other reason, a fall detection enabled pendant will register the activity and contact emergency services. Although the pendants aren’t 100 percent accurate, they are very good at detecting real emergency situations. When emergency services are notified, they will likely get in touch with you on the base unit to see if you require assistance. If you’re able, talk to the representative. If you are unconscious, the representative will assume that you’re experiencing an emergency and send medical professionals to your location right away. If you have a history of falling, or if a fall could cost you your independence, you should definitely consider adding fall detection to your plan. Q12: What additional features and options should I sign up for? A: Everything you really need comes with each system, but there are some additional features and options that could make your medical alert system even more helpful. Lockboxes – If you’re experiencing an emergency, and the doors are locked, medical personnel may have to break into your home. A lockbox can be added to your order and placed outside your house. The medical alert agent will have access to your code, and they can provide that code to emergency responders. Additional emergency buttons – Think about an additional emergency button like a spare key. Having an extra will make sure that you’re always protected. Additional buttons can also be purchased for a spouse. Fall detection – Most medical alert systems do not automatically include fall detection. If you are worried about falling and being unable to push the emergency button, you may want to consider adding fall detection to your plan. Helpful services – There are also a variety of services that some medical alert system providers offer. Medication reminders, smartphone apps, and automatic monthly testing are just some of the additional services you can add to your plan. Carbon monoxide and smoke detectors – Although not every medical alert system offers carbon monoxide and smoke detectors, it may be worth seeking out a provider that offers this equipment. Keep in mind that most of these additional services will cost extra, so make sure that you speak with a customer service representative to figure out exactly how much it will cost. Q13: Do I have to install the unit myself? A: Medical alert systems are fairly easy to install, so they do not send a representative to your home to help you set it up. Instead, they provide detailed instructions with each unit. Some providers also have videos and step-by-step directions on their website to show you exactly how to set up the system. No matter what system you choose, all you have to do is plug it into the wall. If you’re using a traditional in-home unit, you will also have to plug it into a phone line. GPS systems must also be plugged into the wall, but most of these systems need to be charged regularly, so make sure you return the device to its charging cradle every day. Fall detection works automatically, as long as the primary system is charged. When you have the system set up properly, you should push the test button, if there is one. If not, push the emergency button to make sure that you’re connected with an emergency response agent. If you’re still having trouble setting up your medical alert system, call the provider’s customer service center and they will help you set it up by walking you through the steps over the phone. Q14: What is the range of my system? A: The range of in-home medical alert systems can vary greatly. They all function with a base unit that can be moved from room to room, but cannot be carried around with you, and an emergency button that connects you to that base unit. Some of the best medical alert systems offer up to 1,000 feet of coverage, which means you’re even protected in the yard. Other systems, however, only offer a couple hundred feet, while Life Alert only offers 150 feet of coverage. GPS systems are different. Because they are portable and utilize a cellular signal, your coverage area is literally anywhere you can go within the cellular range. However, you do need to make sure you check the cellular coverage area where you live. Before you purchase a system, it is important that you know exactly how much coverage you need, and which plans can provide you with the coverage you’re looking for. If for any reason you are unsure about the coverage area of a particular plan, call a customer service representative, or check with a medical alert reviews website, like this one. Q15: Will EMS (Emergency Medical Services / Responders) charge you to come to your house to provide their services? A: It depends on your locale, but most places typically break out the service into two parts. One part is for the response to the scene (e.g., your home) for an initial evaluation and care, where there is typically no charge (e.g., covered by local and state taxes). However, the other part of transporting one to the hospital is often chargeable and the person’s responsibility (or insurance). We review the best and worst companies. 100% free report! Our Picks for the Best Medical Alert Systems for 2019. Independent and unbiased – our team of medical alert experts conduct tests and deep evaluations on today’s most popular medical alert systems. 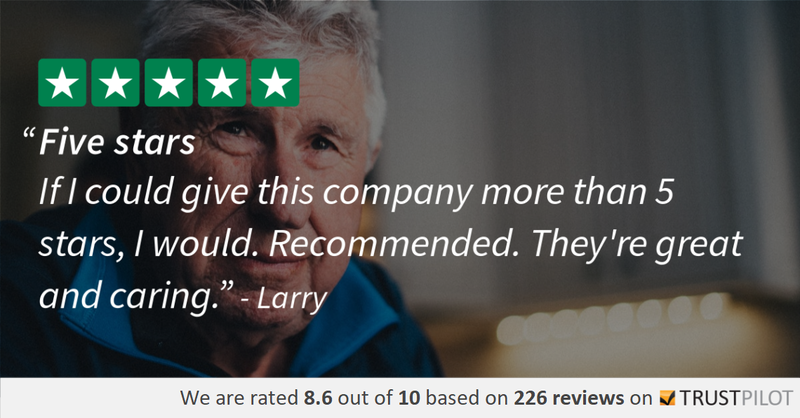 The result is evidence-backed reviews and ratings you can trust to make smarter, more informed choices in helping to keep you and your loved ones safe at home. 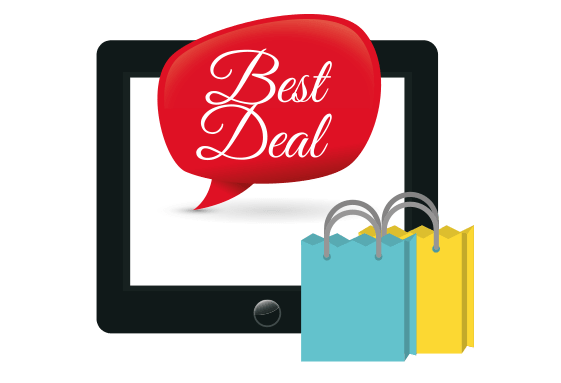 Being the Most Trusted Online Resource for medical alert systems reviews allows us to negotiate exclusive deals and promotions from our top-rated merchants. Our Deals area is reserved for InHomeSafetyGuide.org Certified Partners and exclusive for our site visitors. Please note all promotions and deals are subject to change at any time. Learn how an evening of online research for a family member in need of an in-home safety device ignited an unrelenting movement to build, nurture and protect the most trusted online resource for providing unbiased, comprehensive, and needed reviews for products and services to ensure you and your loved ones stay safe at home.